The Ubild 260 Portal Plus Workshop measures 2.6m X 5.4m x 2.4m and comes with a single hinged door. Window and PA door are optional extras. Finance now Available. Click here to find out more. 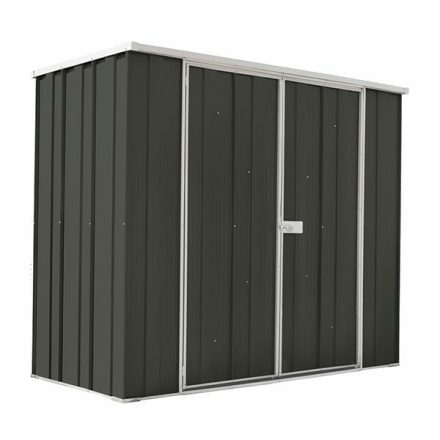 The UBild 260 Portal Plus Workshop 2.6m X 5.4m x 2.4m is the ideal building solution for Aussie consumers looking for additional storage space. The Ubild workshop measures 2.6m x 5.4m x 2.4m and features a single hinged door, with the option to add a PA Door and window. The Ubild workshop has ample room to store all the things you love, and to create a workspace for your hobbies. The Ubild 260 is made using a solid 80mm x 40mm portal steel framing system. 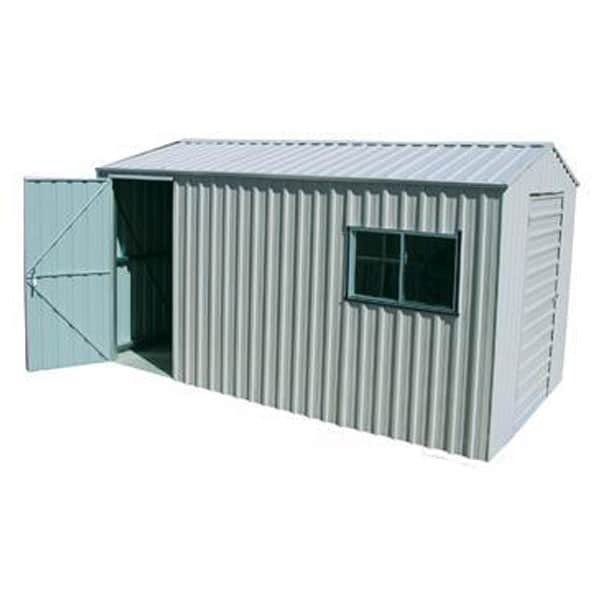 Additionally, the Ubild 260 Portal Plus workshop is the perfect steel building for any Australian consumer looking for storage space. Spanbilt Direct offers home delivery and Free Click and Collect. The Ubild 260 Portal Plus workshop is backed by our 15-year structural warranty. This is our biggest flat-roof shed. So, it has plenty of space for all your hobby, camping and sporting gear, plus your mower, blower, pool gear and more. A big shed with an extra-wide double door! 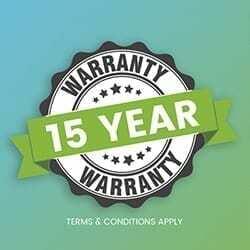 Customers can be rest assured that they are buying a quality Australian product, all of our buildings are backed by a 15-year structural warranty. 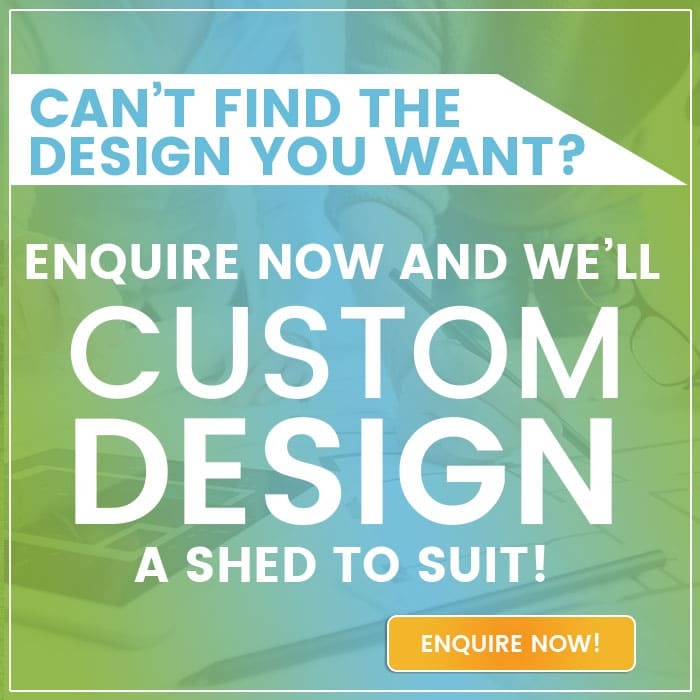 The most popular of our big shed range, this shed is grand enough to house big stuff, like a ride-on mower or motorcycle. And you can park all your sporting gear, camping gear, tools and gardening gear in here right next to it. , add a skylight, a floor then install your benches and you have a very economical workspace. 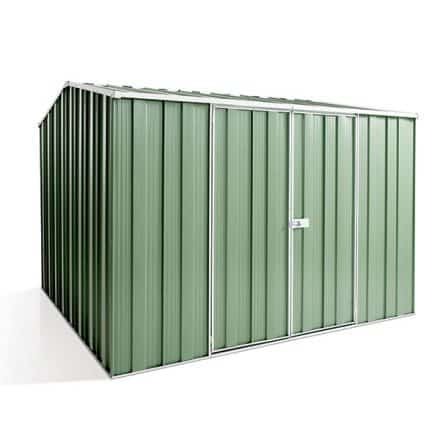 A big volume shed that won’t take over the yard, designed for big storage needs. Ideal for the courtyard or tucked round the side of the house big enough to hide away the bikes, mower, and large tools without taking over your valuable outdoor living space. If you’ve bigger storage needs but not the big backyard let this shed save your space! 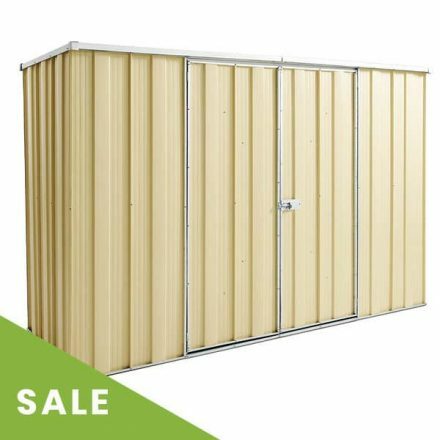 The narrow format make the this ideal for use in covered locations like carpark buildings, garages and carports where you need secure storage and organisation and still need space for the car as well as outdoors to easily fit in the courtyard, or down the side of the house between the fence line. The extra wide double door entry allows uninhibited access.